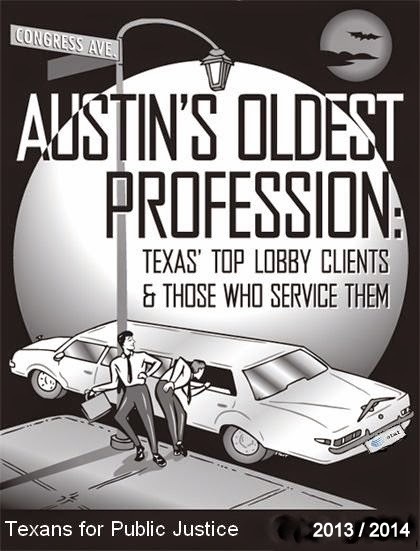 During 2013, 2,932 clients paid 1,704 lobbyists up to $349 million to influence Texas government decisions, according to TPJ’s biennial analysis of Texas lobby spending. 2013 lobby spending nosed out pre-recession lobby expenditures for the first time. Led by the now-bankrupt Energy Future Holdings Corp., Energy and Natural Resources clients spent more on the lobby than any other industry.